Jack Pemba, CEO Pemba group of companies (C) with Ssebujja Katende (L) Uganda’s Ambassador to USA and Deputy Ambassador Santa Mary Laker Kinyera. (Courtesy photo). 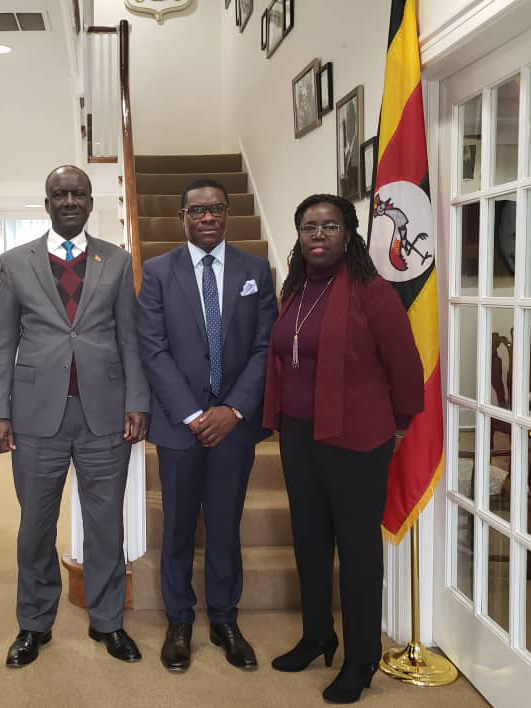 KAMPALA – Jack Pemba, CEO Pemba Group of Companies, earlier today, met Ambassador of the Republic of Uganda to United States of America (USA) Mull Sebujja Katende and Deputy Head of Mission Santa Mary Laker Kinyera at their base in Washington DC, USA.